Electricians are hired by homes or businesses to install, maintain or repair any electrical equipment or wiring. 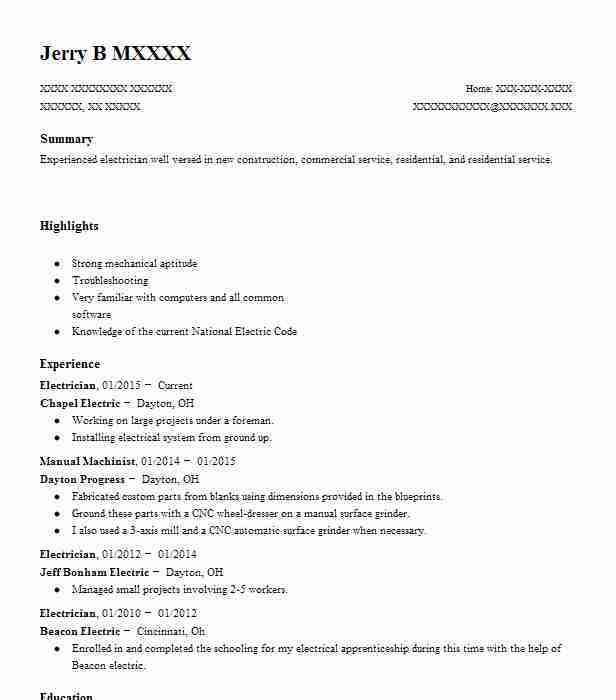 It is very important to customize your resume objective so that it reflects the qualifications you have that would benefit you on the job. Use the objective to highlight your accomplishments and let the hiring manager know that you are the best applicant for the position. Electricians have a number of tasks they need to perform, including diagnosing any malfunctions, estimating cost of services, constructing new parts, preparing blueprints and testing circuitry. Being an electrician can be a physically demanding job, so your objective should indicate that you will be able to work for long hours under possibly strenuous conditions. You will also need a familiarity with the basic tools used by electricians such as cable reels, wire cutters and stripping tools. 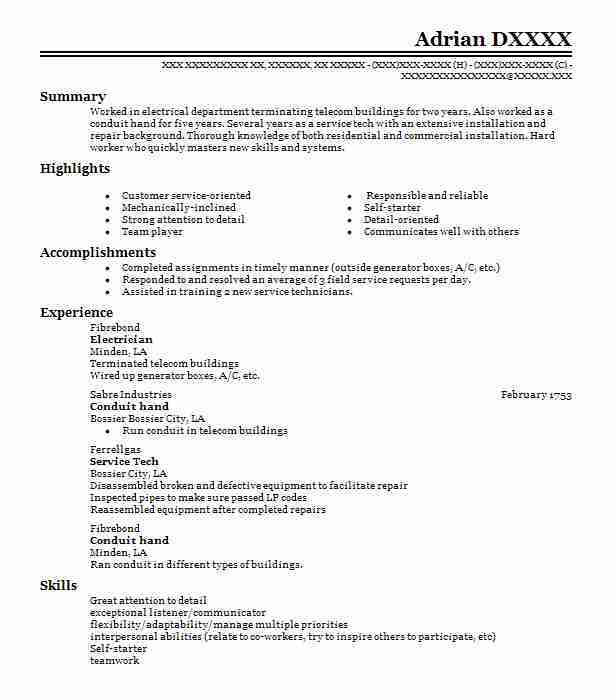 After reading your resume objective, a prospective employer should know exactly what qualifications you have that make you well-equipped to handle basic responsibilities of the position. 1. 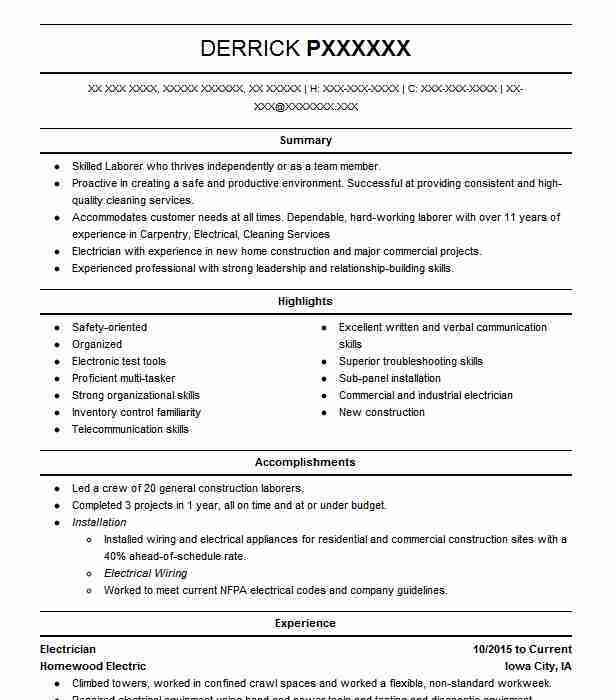 Looking for an Electrician position with ABC company to use knowledge of construction methods and engineering principles for mutual growth and success. 2. Obtain a position at ABC company as an Electrician to utilize familiarity with voltage meters, cable cutters, wire dollies and various other essential tools. 3. Seeking employment as an Electrician to use experiences with installing new electrical systems and testing equipment for the benefit of ABC company. 4. Results-driven professional with 10+ years of experience inspecting electrical equipment, diagnosing malfunctions and training personnel looking for an Electrician position at ABC company. 5. 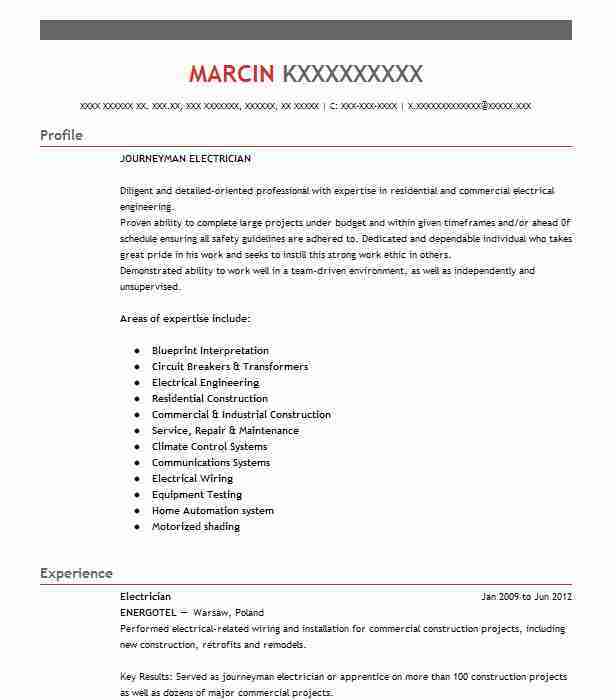 Use knowledge of design techniques and mechanical maintenance to be a proficient Electrician for ABC company. To get hired as an electrician, you need more than just a license and technical experience. Even when you’re highly qualified, you’ll be competing with other applicants for the best jobs. With that in mind, be sure to emphasize your most relevant skills at the top of your resume, as part of your objective statement. Other qualifications you want to mention can go into your skills section. How do you know which skills deserve special emphasis? First go with your strongest qualities, and then double-check the job posting for important requirements. You will most likely be working with other people, such as contractors, coworkers, and members of the public, so don’t overlook soft skills such as customer service, collaboration, and leadership ability. 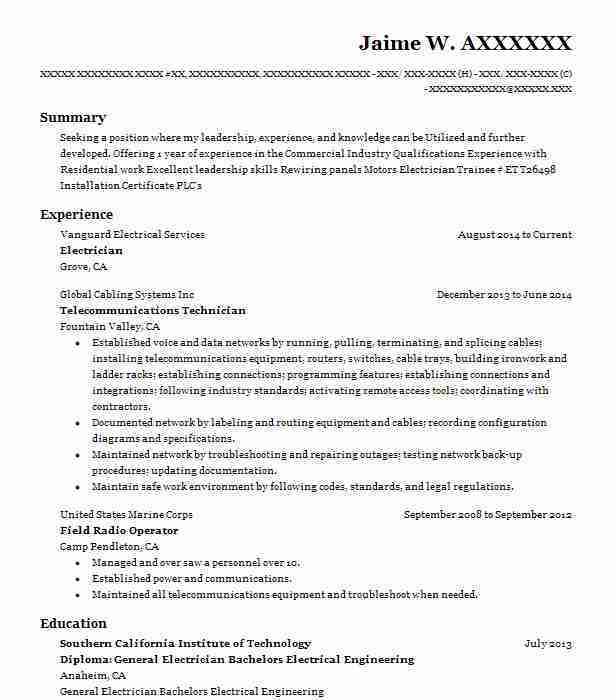 Head Over to LiveCareer’s Resume Builder for more help with writing a resume objective. Summary: Experienced electrician well versed in new construction, commercial service, residential, and residential service.